1. William George James: born July 7, 1832 in Bedford County, Virginia; married July 6, 1853 in Lamar County, Texas to Lucinda Elizabeth “Betty” Whaley (1835-), daughter of James and Sophia Whaley; died January 17, 1908 in Jones County, Texas; buried at Shiloh Cemetery, north of Trent in Jones County, Texas; known children include: John H. James, George William James, Leroy C. James, Melinda Alice James, Braxton Leftrich James, Florence Theodora James, Charles M. James, Richard M. James and Carey C. James. 2. Mary Elizabeth “Lizzie” James: born October 1834 in Bedford County, Virginia; married October 3, 1859 in Fannin County, Texas to Isaac Phillip Ray; died March 1923 in Bedford County, Virginia; known children include: Joel Washington Ray, Mary Isabell. Ray, William Ray, Sean Ray, Lue Ella Ray, Addie Ray, John Henry Ray. 3. 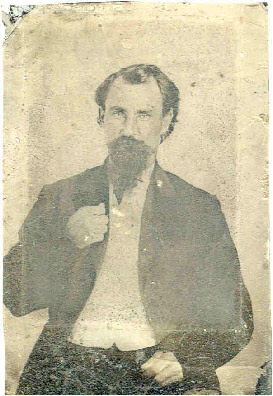 John R. James: born circa 1836 in Bedford County, Virginia; married January 6, 1856 in Fannin County, Texas to Celeste Achie or “Etier”; departed Ladonia, Fannin County, Texas and went to Jefferson, Texas with a freight wagon train never to be heard from again; known children include: George S. James, Joshua James, McHenry James, Mary James, and John James. 4. Nancy Ann James: born circa 1839 in Bedford County, Virginia; married May 7, 1857 in Bonham, Fannin County, Texas to Leander “Lee” Andrew Privett (1832-1896); died January 10, 1907 in Matoy, Bryan County, Oklahoma; buried in Matoy Cemetery, Bryan County, Oklahoma; known children include: Elizabeth Angeline “Lizzie Ann” Privett, C.N. Privett, Madison “Matt” Privett, Nettie Lou Privett, Erasmus “Ras” Irving Privett, Ada Melinda Privet, James Privet, Nina Lurill Privett, Walter Joel Privett, Charley George Privett, Florence Privett, and, Etta Cordelia Privett. 5. Malinda “Linda” James: born August 1, 1844 in Bedford County, Virginia; married December 13, 1866 to William Hemsell (1842-1922); member of the Baptist Church; died November 2, 1920 in Commerce, Hunt County, Texas; buried at Commerce Cemetery; known children include: David L. Hemsell, Britta H. Hemsell, Melvin (or Merion) Hemsell and Edward “Ed” James Hemsell. 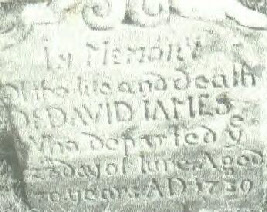 Joel L. James (1811-1875) was the son of Jonathan James (1785-1843) and Polly Bandy of Bedford County, Virginia. Pictured below is Joel L. James (1811-1875).